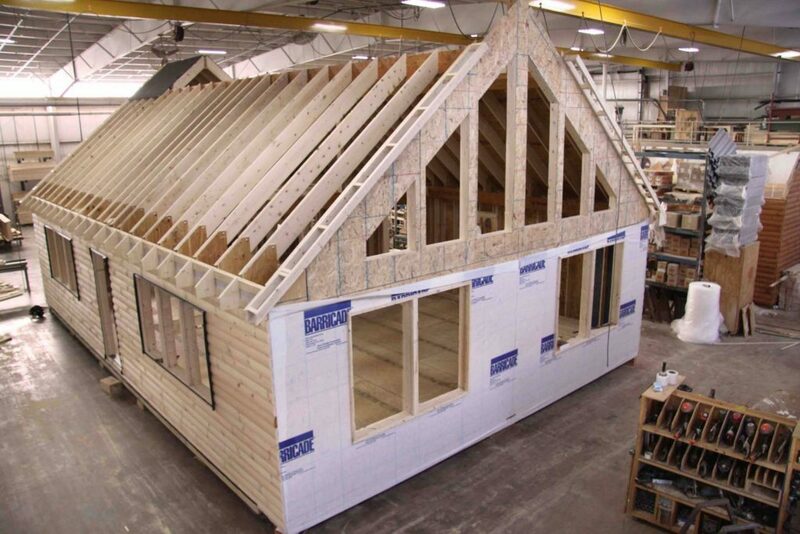 All our log cabins and homes are prefabricated in our factory using modular techniques. This means the your home will not be exposed to rain or snow during construction, which is a known issue with site-built homes. The modular home sections are built stronger than the typical site-built home so they can withstand the rigors of transit without being affected. These are advantages that provide long-term benefits. We take pride in our careful construction of modular cabins. Keeping our cabins out of the snow and rain greatly improves the longevity of homes. Because our cabins are built to be modular, they must be able to withstand truck delivery and lifting forces, meaning that you are getting a home that is designed and built to be strong. In addition, our cabins are built with materials purchased in bulk. Coupled with the fact that our modular construction process allows us to build our cabins during the same time as excavation occurs, our prefabricated log cabins will save you both time and money! 2×10 floor joists @ 16” O.C. 2×6 framed exterior walls – studs spaced 16” O.C.